luthiennightwolf makes at the moment the Ladies of Arda portfolio. You can submit your female char to be pictured as one of the many Tolkien females. Here is Nikki shown as Varda. 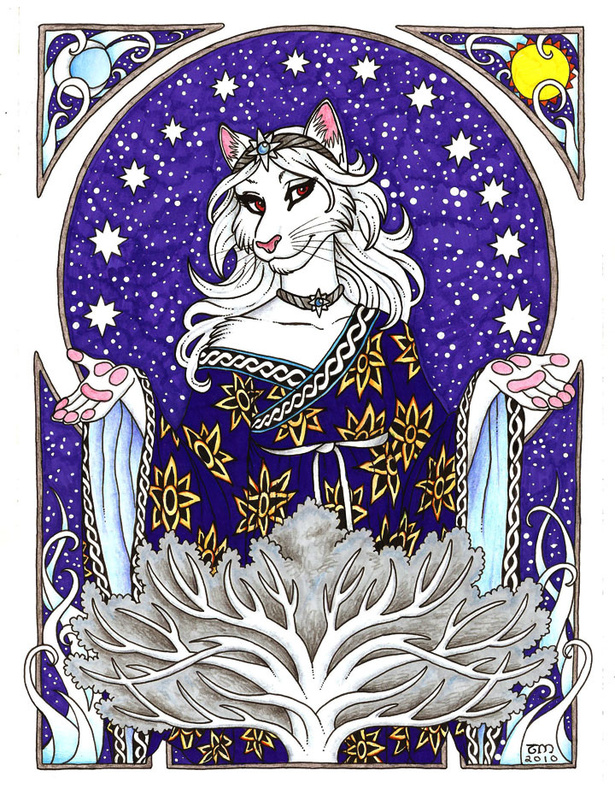 "Varda is the Valar known as the Queen of Light, and it was she who made the stars, lit the Lamps of the Valar, and placed the moon and the sun in the heavens. She is most beloved by the Elves, who call her Elbereth, Tintalle, Elentari, Fanuilos, Snow-White, Gilthoniel, and Lady of the Stars. It is said that she created the stars by pulling the dew from the Silver Tree of the Valar, and in doing so awoke the first Elves."